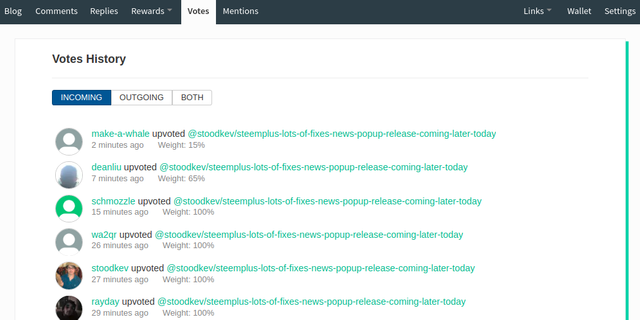 To make it more compact, we will soon unite Votes, Mentions and Trophies into the one dropdown. We don't want the UI to be too packed with our features. Upon clicking the Trophies tab, the different trophies are fetched from Steemitboard and displayed along with their name. Steemitboard is an initiative by @arcange (Project Designer) , @techybear (Web Designer), @captaink ( Graphic Designer). Vots and Mentions Tab payout sometimes appearing as NaN. Before accessing the SteemPlus features, you first need to connect using SteemConnect v2. SteemConnect is very safe and is the standard way to give access to Steem Apps. Congratulations! You now have access to all the features! 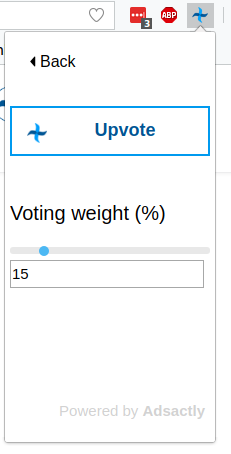 To access the voting slider, click on the popup and go to Upvote tab, make sure the url corresponds to what you want to upvote and click Upvote. For a comment, first click on the date to change the URL. From the same popup you can also access the options to turn on and off the features. 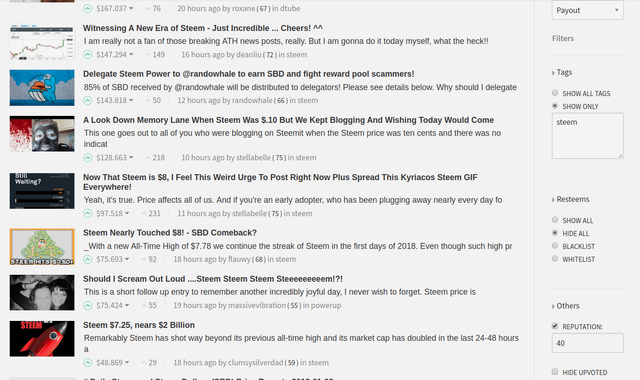 On both Steemit and Busy, you can check the true value of your account (based on current value of SBD and Steem rather than an average). Simply fill the form and you will be redirected via SteemConnect to confirm. Note that you can undelegate directly from there and see who are your delegatees. If you undelegate, you won't be able to use your previously delegated SP during 7 days. 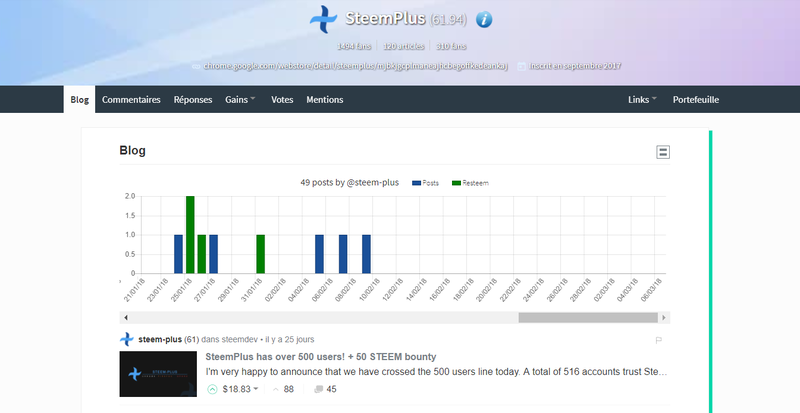 On Steemit you can now add beneficiaries to your posts and decide which percentage of your post they will receive. 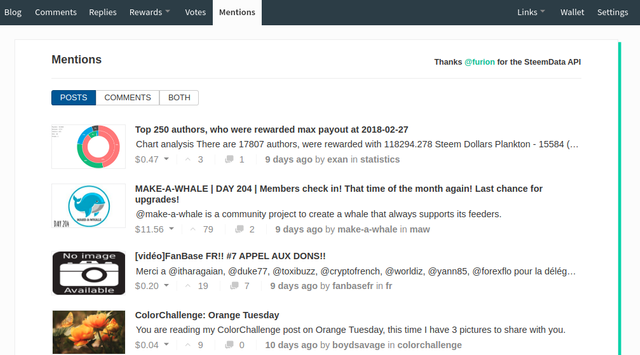 Wanna see what your Steem rank is, as well as others ? The badges are here for you! I kept the best for the end! 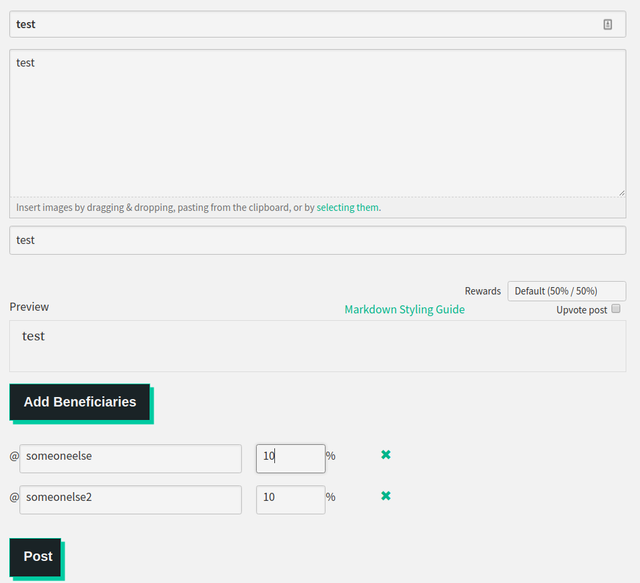 Get an upgoat from Minnowbooster in a few clicks. Adds to decimals to user reputation + shows any user current Voting Power, value of his 100% vote and time until full. Shows the markdown preview side by side with the post for easier readability. 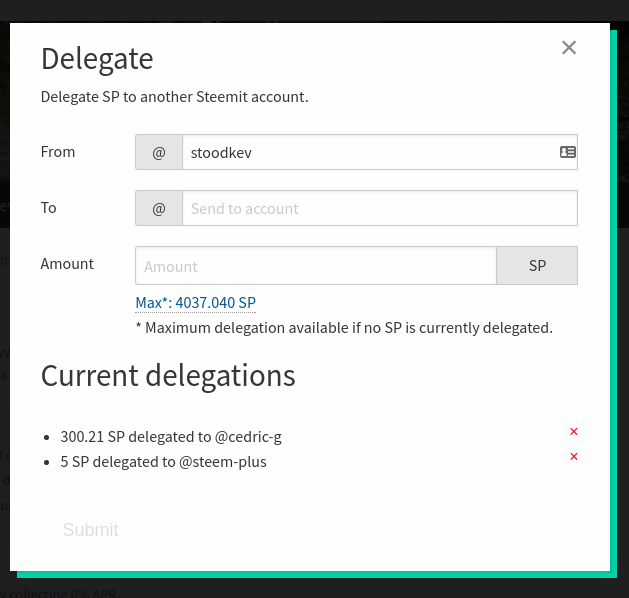 You can chose individually which features you want to use or not in the Settings of SteemPlus popup. If you're using Chrome, it's very straightforward, you just have to install SteemPlus from the Chrome Store here and enjoy! Add and install the Download Chrome Extension from the Opera add-ons gallery. Select Add to Opera in here. You'll be shown the extension manager page, select Install in front of SteemPlus. Select Add to Firefox in here. If you wish to install the add-on permanently, you need to login to addons.mozilla.org and have your cookies enabled! 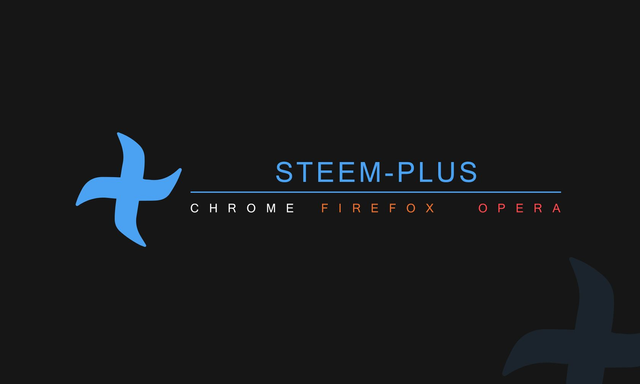 SteemPlus is opensource and available on Github here. 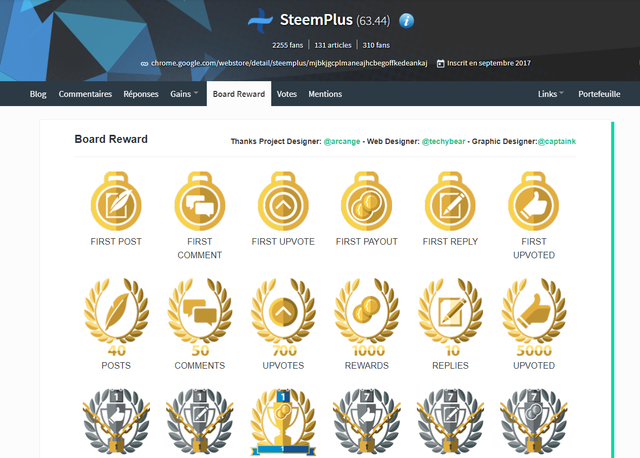 I encourage all of you to participate to the development of SteemPlus, either by your ideas or your technical help, depending on your background. For this, you can use the awesome Utopian.io platform, that rewards contribution to opensource projects. Hey @justyy, I just gave you a tip for your hard work on moderation. 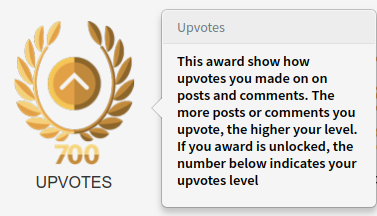 Upvote this comment to support the utopian moderators and increase your future rewards! Can i get upvotes too ? Lots of good stuff here...TY! In my Google browser, the head looks a bit strange! Do you have a hint for me? That looks like a very old error, which version of SteemPlus are you using? Nice! Way to continue adding value to a useful tool! Thanks for the hard work! I use it all the time! Loving the update, lots of new toys to play with. Thanks again guys. 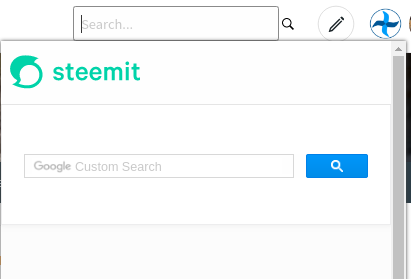 Great work done by adding the SteemitBoard tab! Thanks! The rest is generic copypaste from the advertisement. Lol, I didn't. I somehow did not see that section. :) Hahasdhashdsd now I feel like a moron. 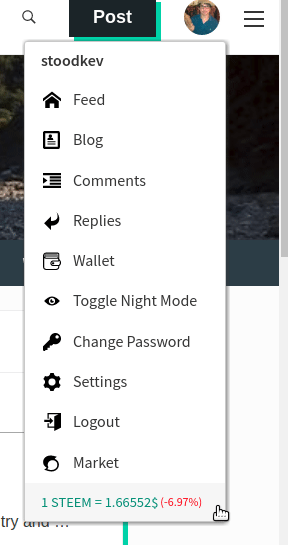 Again a link from my favorites bar which is now implemented here. Super keeps it up. Thank you. I'm going to try it! Where can I make some feature suggestions? Hey @steem-plus I am @utopian-io. I have just upvoted you! Do I need to do something to manually update the extension?